Work to modernise and improve Midsomer Norton One Stop Shop and library is about to get under way, marking an ambitious new chapter in its history. After listening to residents, the new-look library, when it opens at The Hollies, will have a wider selection of books and more shelving for easier access in a friendly and welcoming space. New technology will give better access to the vast catalogue of more than three million items and a redesigned children’s area will have comfy soft seating and fun educational features. Free WiFi, improved internet technology, improved access to printing including wireless technology as well as more comfortable seating and a quiet area to study are also part of the new-look library, which will also have more useable public space for events and creative workshops for the community to use. 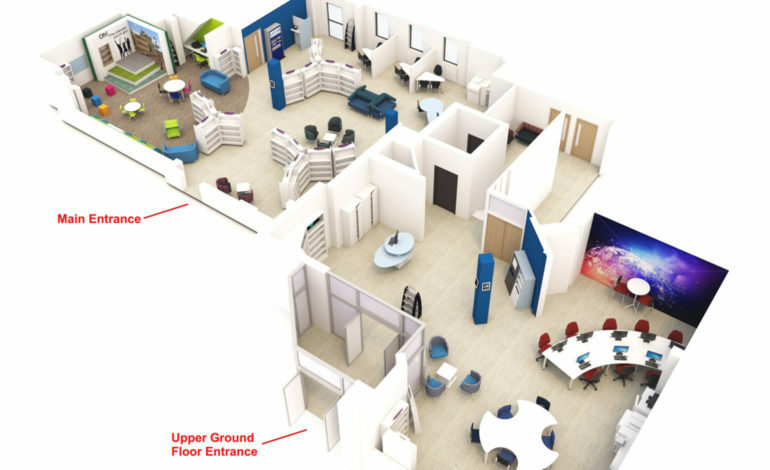 From Monday 19th February, work will start at The Hollies and is expected to be completed in early June to create a really modern, colourful, convenient and refreshed library and information service. Councillor Karen Warrington (Conservative Clutton), cabinet member for Transformation and Customer Services, said: “We are bringing services together and really revamping Midsomer Norton’s One Stop Shop and Library to create a bright, well-resourced community space which everyone can benefit from. “The increased floor space available in the library, as a result of moving to the Hollies, together with the refurbishment and introduction of new technology, will guarantee a long term sustainable future for the library in the town as well opening up new opportunities to regenerate the high street. When the refurbishment was announced last year it received public support alongside a commitment from the council to regenerate the town centre. The plans for integrating Midsomer Norton Library and One Stop Shop are part of the council’s Modern Libraries Programme, putting people first. Residents are being advised about the temporary closure of the Hollies while improvement work is carried out over the next five months. Bath and North East Somerset Council says the Hollies One Stop Shop, in High Street, will close at 1pm on Wednesday 14th February. An interim service will be provided at Midsomer Norton Library, however Housing Options and Citizens Advice appointments will still be held at the Hollies. The toilets in the existing One Stop Shop will be unavailable for the duration of the improvements, although the toilet located in the library will be available to all. In Keynsham, the combined Library and One Stop Shop has been a huge success according to B&NES Council, with a significantly increased footfall and rise in popularity, following similar improvements several years ago.